Hi! I am sure the opening of Sungai Buloh-Kajang MRT Phase 2 has been a hot topic among Malaysians lately. 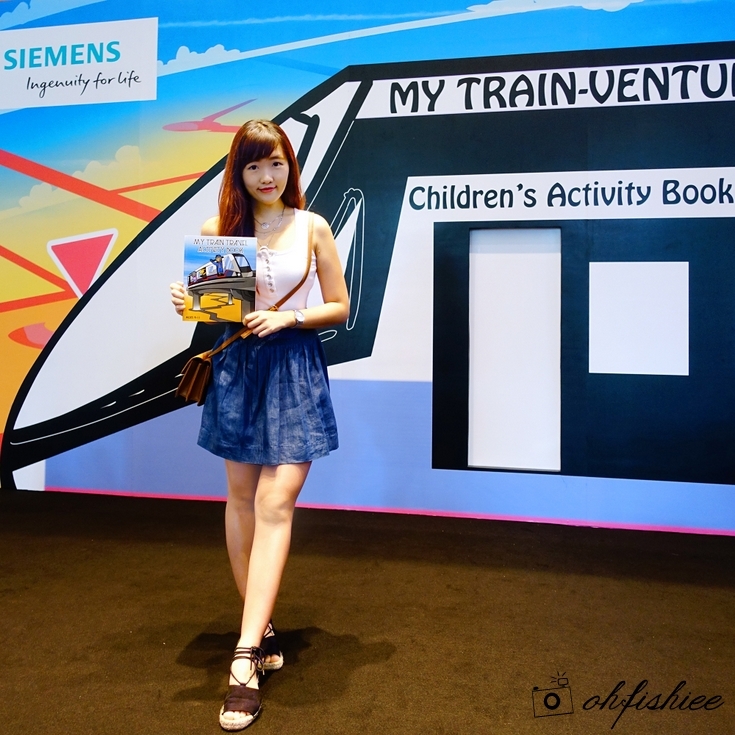 In conjunction to that, Siemens Malaysia has recently held the "My Train-Ventures" Children Activity Book Launch! Can you see the book I am holding? 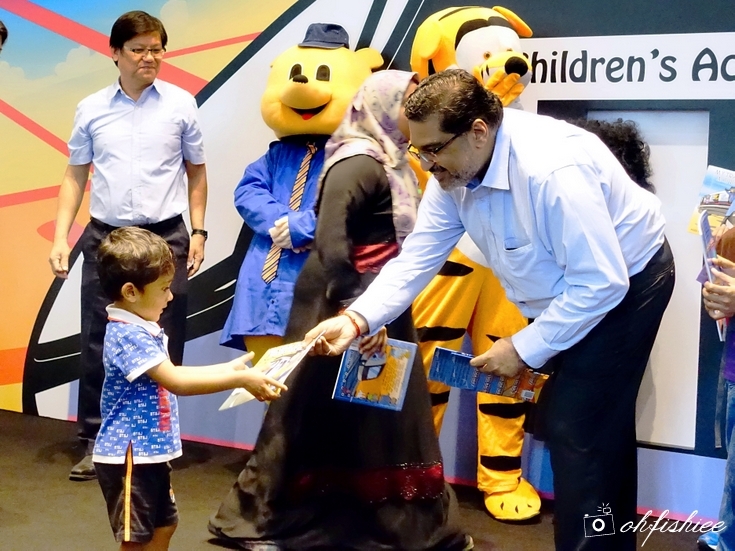 That's the main focus of today's post - Siemens "My Train-Ventures" children's activity book series - a corporate citizenship initiative by Siemens to raise awareness and understanding of public transportation among Malaysian children. Let's take a closer look to the activity books - 3 different books for 3 age groups: 6 to 8 years old, 9 to 11 years old and 12 to 14 years old. The book blends imaginative adventures with fun elements that make a unique, more refreshing reading/learning experience for children. The books are very illustrative and entertaining, with some of the pages offer puzzle challenge for the kids. And some colorful stickers relating to the trains. 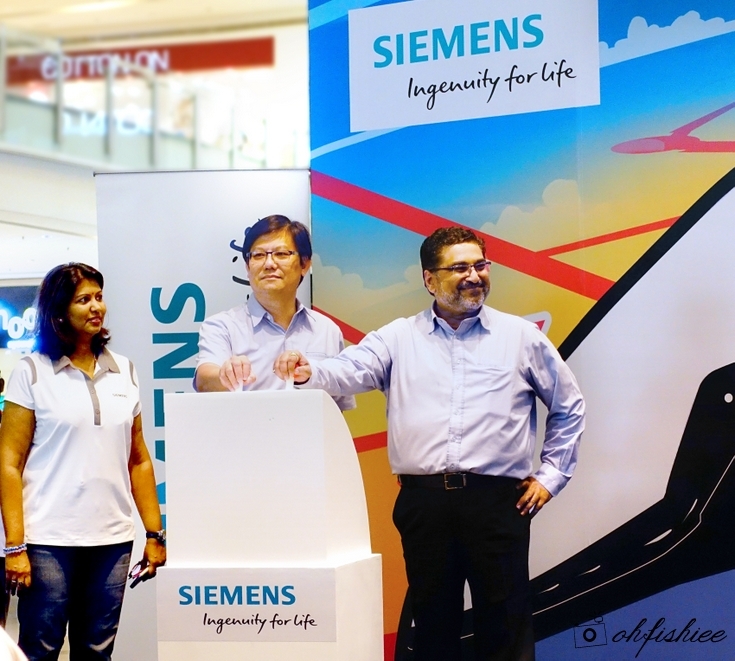 The event launch begins with a flash mob sequence to the iconic tune of "Locomotion" popularized by Kylie Minogue, presented by the employees of Siemens Malaysia at the main concourse area of Nu Sentral, Brickfields. Meet the team from Siemens Malaysia who did the flash mob performance. The highlight of the event is the book launching ceremony by Mr. Prakash Chandran, President & CEO of Siemens Malaysia, and Mr. Ben Chong, Head of Business Development of Siemens Malaysia. During the launch, Mr. Chandran also hands out the book to the lucky children. Look at the happy faces on the children! I am sure these activity books will be beneficial for them. The event also includes a series of fun activities for the children such as Coloring Competition, Crossword Puzzle challenge and a specially-crafted "Build Your Own Train" competition. The winners of the competitions walk away with a total of 100 books to bring back to their respective schools. 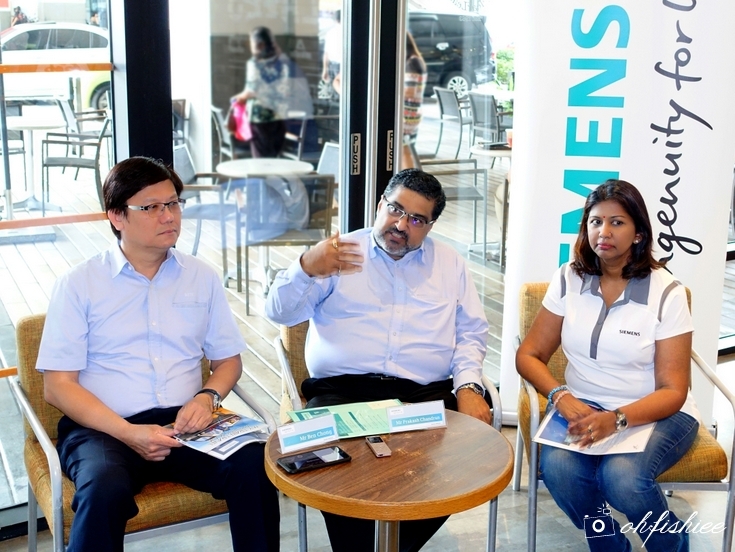 The launch concludes with a press conference where Mr. Chandran explains that Siemens Malaysia have supplied all 58 sets of automated trains for the Sungai Buloh-Kajang MRT Phase 2 operations. It caps another milestone achievement to see more citizens commuting via a modern, reliable and efficient transportation. Coming up, Siemens Malaysia will be involved in the project of Kuala Lumpur-Singapore High Speed Rail. Stay tuned at www.siemens.com for latest updates.